NOTE – This version is only live on the development branch due to issues for people with Strict NAT types. There is one or two big additions to this update and lots of small changes which will contribute to the much bigger planned update coming out at the end of next month but I hope this one should provide some entertainment in the mean time. There are lots of new features/improvements coming in the next version and the version that is currently live on the development branch is actually a few weeks behind the current build im working on. 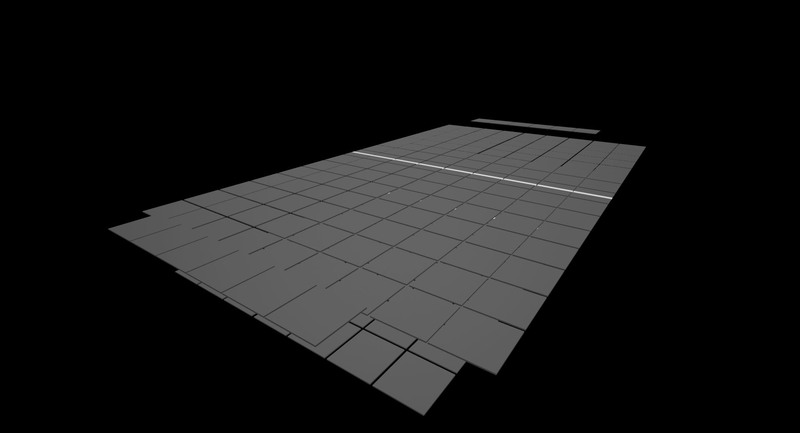 Grid is a map where if you step onto a tile it will be destroyed a few seconds later as it goes from the grey colour towards red. There is two levels on this map and you will fall into the level below as the top level loses its tiles. Explosive balls can also destroy tiles below your opponents. Balls that fall off the side into the void are spawned back onto the middle part but these tiles take much longer to be destroyed so balls keep on spawning properly. This might mean you have to jump from the 2nd level to grab a ball on the 1st level at the spawning tile. The player spawn tiles also will remain much longer so you can respawn properly. The map should be good for fast paced gameplay as the tiles should fall away at a pretty decent rate meaning the time is very limited. You should also be looking down more than normal which leaves you a bit more vulnerable. Pass the bomb is a very simple gamemode where only timed explosive balls spawn in. Constantly throw these balls back and forth, the later you throw it the more chance you have of blowing you and your team up, but the sooner you throw it the more chance you have of letting them throw it right back at you. I’d recommend having a round timer just to make sure that if all the balls are destroyed the round ends. Some of the feedback received on the last version is that people weren’t able to know how to aim the ball because they couldn’t see through the ball. I didn’t know this would be an issue because when I play on a relatively high FOV the ball is quite small and covers the other player so its quite easy to aim because you can usually see their feet. However people on lower FOV’s do have this issue. Therefore to fix this whenever you pick up a ball it becomes slightly transparent so you can have some more help aiming it, this is forced on at the moment but I will probably include an option for it at some point too as I imagine some people are in my position and don’t really mind. Below is a picture of how it looks. Bots, NPC’s, AI. They all mean the same thing but whatever you want to call them they are now in Dodgeball. Only a few of the maps can work with them at the moment but this should be expanded in the next version to include most if not all of them. The bots also currently have a fixed difficulty setting and are rather accurate, but if you want to scale the difficulty the best way to do that would be to add more bots and handicap yourself that way to increase the difficulty. Hopefully the addition of these will be helpful while waiting for a server to populate. Below you can see a picture of some of the AI playing. They are pretty hard to hit sometimes as they are always moving. Im also thinking of implementing some co-op and singleplayer gamemodes involving the AI in future versions to add more variety of things to do in the game. All maps have received a performance boost, some more major than others but you should find it runs a lot smoother especially on mid-range hardware. Other optimisations will probably come in the future especially to the worse performing maps but im currently happy with where this is at, at the moment. With the future maps also trying to increase the visual quality there will probably be future optimisation passes anyway. If your game isn’t performing well on this update even with the settings down then im afraid your PC just might not be up for it, however if you think your PC should be up to it send me an email with your problem and make sure you also tell me your PC specs as it makes it much easier to diagnose the issue. Thanks. There is quite a lot more stuff that wasn’t quite finished to make it into this current build and is being pushed back to the next build just to make sure it works properly. This should hopefully be quite a big update with lots of stuff to make the game much more interesting and more importantly more fun to play. I did want to include a dedicated server in this build but im doing some backend network changes which also would change how dedicated servers work and handle certain things like voice communication so im leaving this to the next build. The initial version will probably be a bit scarce but extra dedicated server functionality should be added in the build after. Dedicated servers will also be available to anyone to host also should they want to once its more finished off. 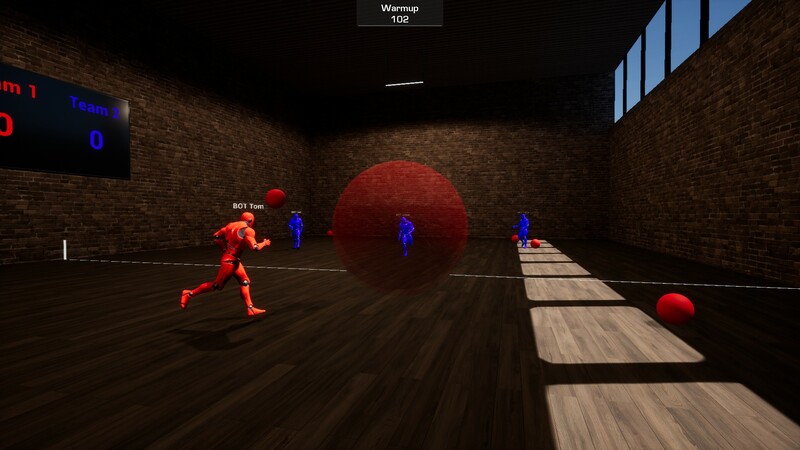 The current way Dodgeball works means that it includes little other network features and even then some aspects don’t always work perfectly. To increase the reliability of the system im implementing a better system which should mean that lots of other Steam features such as joining off friends should work quite nicely. Other features include a better server browser where you can actually see the ping of the server you’re trying to join and also filter by more options such as servers on with your friends on. This should also list things properly in the Steam server browser meaning you can join off your friends directly. The UI is getting a complete overhaul to make it generally look better and also make it more useful. This is in line with other changes to the lobby and such as well. This won’t really affect anything else but should make things a bit nicer to look at. Along with the UI improvements you will soon be able to spectate players properly in 1st and 3rd person as well as a free spectate mode. A mechanic that lets you dodge the balls is being added so you can quickly get out of harms way when you see coming towards you or you wish to get to something a bit quicker. An improved version of Gym, and two larger Stadium maps made for larger player counts and the more specialist gamemodes (Soccer and basketball). 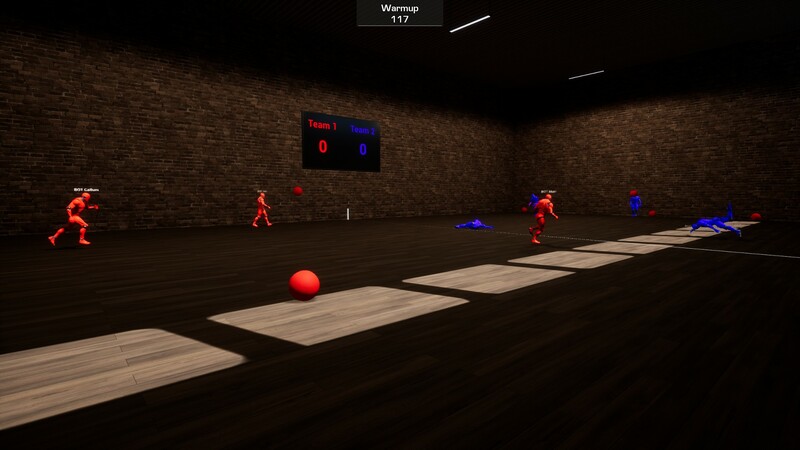 Also included is a singleplayer ‘training’ map that introduces you how to play the various aspects of Dodgeball, this will be later expanded to lots of minigames and a better looking map. After the previously mentioned things are completed there will be an option to play the game in Virtual Reality with motion controllers. This is something im only playing around with at the moment and there might be a singleplayer mode just in virtual reality made public just for a test but you won’t be able to play it in multiplayer for a while until ive worked out some multiplayer VR issues. In preparation for the VR requirements im further optimising everything to run on the recommended specs for both the Oculus and the Vive so this is something that will benefit most people regardless if you own a VR headset or not. Adding more AI support to maps and also different gamemodes which makes more singleplayer play possible. Also planned is adding difficulty levels for the AI. They are being further refined and optimised to support more AI spawned at once also for larger games although the max expected is 10 vs 10.